Jesus’ last words on earth were, “Go and make disciples of all nations, baptizing them in the name of the Father, the Son, and the Holy Spirit, teaching them to observe everything I have commanded you” (Matthew 28:19-20). At The Moody Church, preaching the Good News to the lost is a primary priority. There is an incredible need for spreading the gospel to lost people groups all over the world. Many have never heard the Good News that Jesus saves sinners and reconciles us to God. How can you get involved in reaching the lost and making Jesus’ last words your first priority? Since God established His church, we see throughout the New Testament how believers were discipled and sent out to plant new churches for the sake of the kingdom. That pattern continues today around the world as the gospel goes forth and new believers gather together. From down the street to across the globe, churches are being planted for the glory of God and furthering the mission of the gospel! 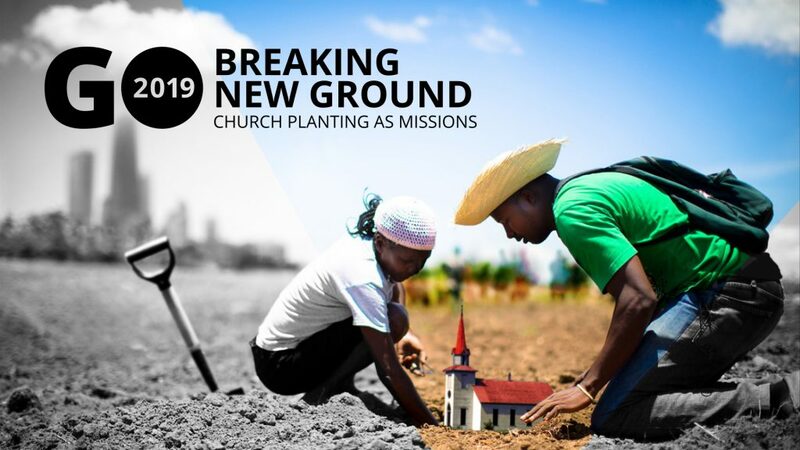 Join us this March 17-24 for a special time of learning and see what God is doing around the world. Click here to learn more and see the schedule! Missionary care is a vital component to our missionaries’ ability to stay on the field. Not only do our missionaries need financial support, but they covet your prayers, friendship, and tangible acts of kindness. Partnering with a missionary through our Befriend a Missionary (BAM) program here at Moody Church allows you to be God’s hands and feet to our workers in a much-needed way! Sending letters, remembering birthdays, making care packages, and providing housing and transportation when they come home on furlough are just a few ways to show love to our missionaries. We have over 50 active missionary families on the field today. If you’re interested in joining the BAM program, please contact us below to get started. The goal of our Missionary Preparation Program (MPP) is to help people confirm God’s call upon their lives. For some, this will mean full-time Christian ministry in the United States or abroad while for others it means becoming a more globally-minded Christian. The MPP includes both monthly group meetings and individual study and ministry in a self-paced workbook. For more information about our Missionary Preparation Program, please contact us. Please join us for a time of focused prayer for our missionaries. We meet every month at church, usually the third Thursday from 10:00am – 12:00pm. When possible, we have a visiting Moody Church missionary share about their life and ministry, and then we break up into prayer groups. Light refreshments are provided, and no RSVP is required. The Moody Church highly values our 75+ missionaries and their families! One of the key ways to support our workers on the field is to intercede for them through prayer. Every spring, we publish a special Missionary Prayer Guide containing a brief overview of each missionary and prayer requests for their ministries. Pick up one today at the Global Outreach Kiosk (Sunday mornings) or by stopping by the church office (Monday-Friday) to begin interceding for our family on the front lines! STAMP was designed for the purpose of fostering greater awareness and understanding of foreign and domestic missions within the congregation of The Moody Church. This is accomplished by providing the opportunity to participate in short-term, cross-cultural ministry. Why do we do this? We believe that those who participate in a cross-cultural experience develop a greater Christian maturity and become not only more committed to global missions, but also become more effective church members. STAMP trips typically originate within our various TMC communities, with several trips heading out each year. From Egypt to Baja Mexico, from serving in orphanages to partnering with our Moody Church missionaries on the field, STAMP teams go all over the world and serve in many ways. Leaders: If you are thinking about forming a STAMP team, download the documents below to get started. Note especially the STAMP Policy, which will guide you in the process.